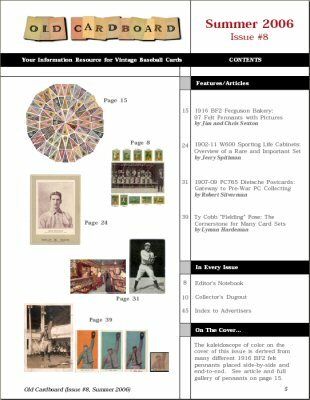 The cover and the table of contents for Issue #8 are shown below. 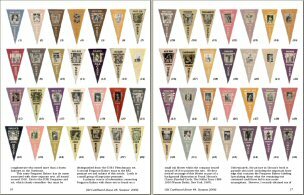 1) "1916 BF2 Ferguson Bakery: 97 Felt Pennants With Pictures" by Jim and Chris Sexton. 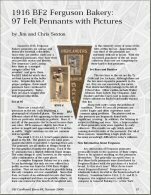 Jim Sexton (with help from his son Chris) has been working on this set for many years. They have now uncovered new data that both affirms (and casts a little doubt) about the true sponsor for the set. 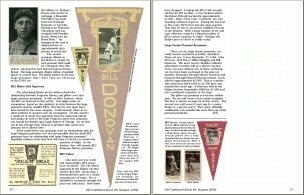 The article includes by far the most comprehensive information about the set printed to date (includes complete gallery of 97 pennants). 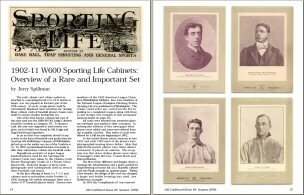 2) "1902-11 W600 Sporting Life Cabinets: Overview of a Rare and Important Set" by Jerry Spillman. 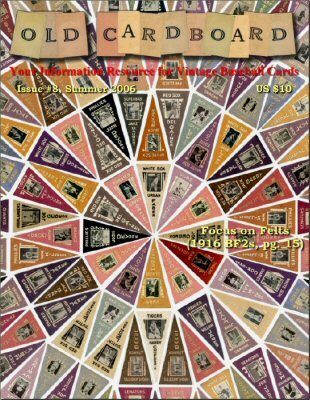 An overview of this early set produced during the first decade of the twentieth century is provided by a veteran Old Cardboard author. 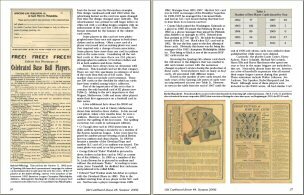 Included are examples of each of the four main variations used for the card mounts, early announcements and flyers used to promote the cards, and informative tables compiled by the author. 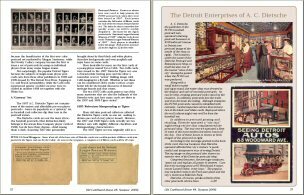 3) "1907-09 PC765 Dietsche Postcards: Gateway to Pre-War PC Collecting" by Robert Silverman. 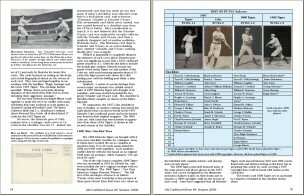 A thorough look at the A. C. Dietsche set featuring Detroit Tigers and Chicago Cubs players. 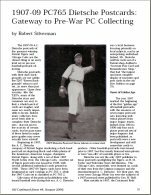 A longtime collector with a special interest in baseball postcards, Silverman brings a fresh new perspective to this widely distributed century-old issue, designated PC765 in the American Card Catalog. 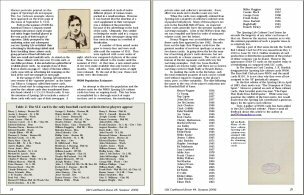 Article includes checklist updates. 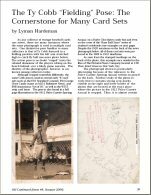 4) "The Ty Cobb Fielding Pose: Cornerstone for Many Card Sets" by Lyman Hardeman. A brief commentary keyed to a recently surfaced news service photo of Ty Cobb. 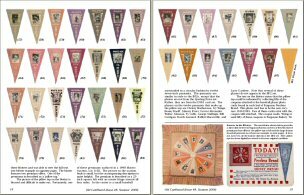 The pose is used in a number of popular vintage card sets, including the E93, E94 and E98 caramel sets, an E271 Darby Chocolate box panel, the W555 strip card set and others. 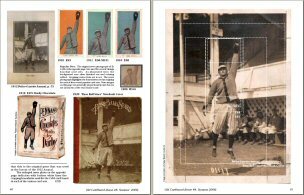 The cropping for each of these cards is outlined on an enlargement of the original photo. 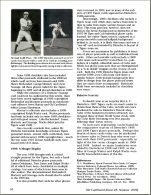 In addition to these articles, each issue includes both the Editor's Notebook and Collector's Dugout sections, numerous informative displays from our sponsors, and more.